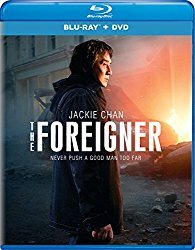 OVERVIEW: Global superstar Jackie Chan (Rush Hour trilogy) returns to the big screen like you've never seen him before in the action-packed film, The Foreigner, arriving on Digital on December 26, 2017 and on Blu-ray™, DVD and On Demand on January 9, 2018 from STXfilms and Universal Pictures Home Entertainment. Directed by Martin Campbell (Casino Royale), the film also stars Pierce Brosnan (Tomorrow Never Dies), Katie Leung (Harry Potter franchise), Orla Brady (Wuthering Heights), Charlie Murphy (Philomena), and Michael McElhatton ("Game of Thrones"). With impressive action sequences and edge-of-your-seat twists and turns, The Foreigner, from STXfilms (Bad Moms franchise), tells a compelling and emotional story of justice, redemption, and retribution. Filled with gripping and explosive scenes, the film also comes with special bonus features including a behind-the-scenes look into the making of the film and interviews with the cast. 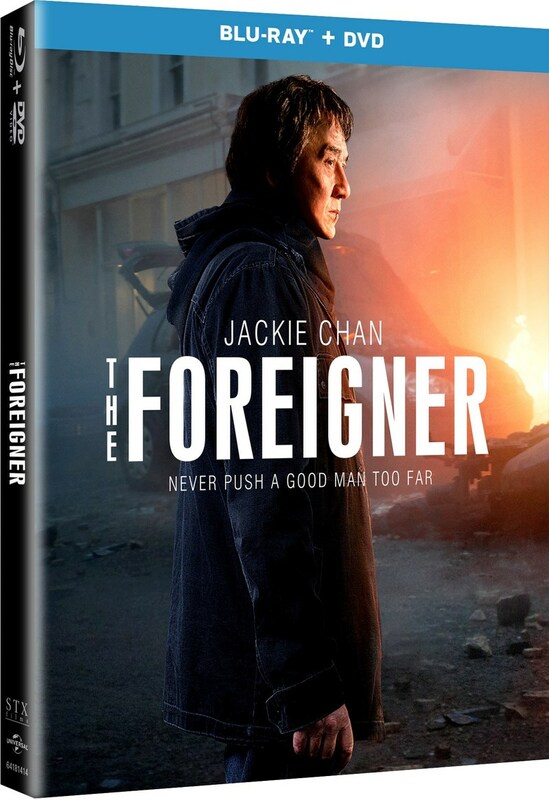 SYNOPSIS: Jackie Chan and Pierce Brosnan star in The Foreigner, a timely action thriller from the director of Casino Royale and Goldeneye. Chan stars as humble London businessman Quan, whose long-buried past erupts in a revenge-fueled vendetta when the only person left for him to love -- his teenage daughter -- is taken from him in a senseless act of politically-motivated terrorism. In his relentless search for the identity of the terrorists, Quan is forced into a cat- and-mouse conflict with a British government official (Brosnan), whose own past may hold clues to the identities of the elusive killers. BLU-RAY: The film is presented in widescreen in a 2.40:1 aspect ration preserving its theatrical format. The picture is just flawless. Not only the picture looks great in this release, also the sound it is good, a 5.1 Master Audio in English that provides a good complement to the picture. It also includes English Spanish and Mandarin subtitles.